Auflage 1992. Book. Sprache: Englisch. 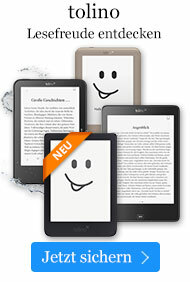 Buch € 299,49* inkl. MwSt. Research into and development of high-precision systems, microelectromechanical systems, distributed sensors/actuators, smart structural systems, high-precision controls, etc. have drawn much attention in recent years. These new devices and systems will bring about a new technical revolution in modern industries and impact future human life. This book presents a unique overview of these technologies such as silicon based sensors/actuators and control piezoelectric micro sensors/actuators, micro actuation and control, micro sensor applications in robot control, optical fiber sensors/systems, etc. These are four essential subjects emphasized in the book: 1. Survey of the (current) research and development; 2. Fundamental theories and tools; 3. Practical applications. 4. Outlining future research and development. 1. New Actuators for High-Precision Micro Systems. 2. Micro Structures and Micro Actuators for Implementing Sub-Millimeter Robots. 3. Design, Modeling, and Control Strategies of a Three Degree-of-Freedom VR Spherical Motor, Part 1: Reluctance Force Characteristics. 4. Design, Modeling, and Control Strategies of a Three-of Freedom VR Spherical Motor, Part 2: Dynamic Modeling and Control. 5. Micromachining of Piezoelectric Microsensors and Microactuators for Robotics Applications. 6. Thin-Layer Distributed Piezoelectric Neurons and Muscles: Electromechanics and Applications. 7. Optical Fiber Sensors and Systems. 8. Design and Dexterous Control of Micromanipulator with Multiple Degrees of Freedom. 9. A Three Degrees-of-Freedom Micro-Motion in Parallel Actuated Manipulator. 10. A Miniature Mobile Robot Using Piezo-Elements. 11. Distributed Piezoelectric Transducers Applied to Identification, Control, and Micro-Isolation.